This may go down as my most favorite doll size project ever. 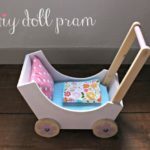 Grab your scrap wood friends because you can make amazing things with all the little bits! 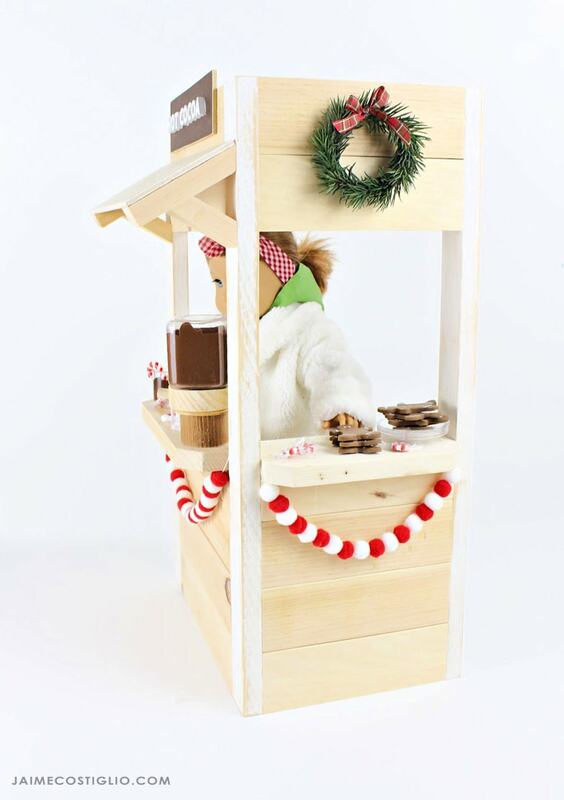 Today is Handbuilt Holiday gift project day and Ana White and I would like to present the doll size snack shack. 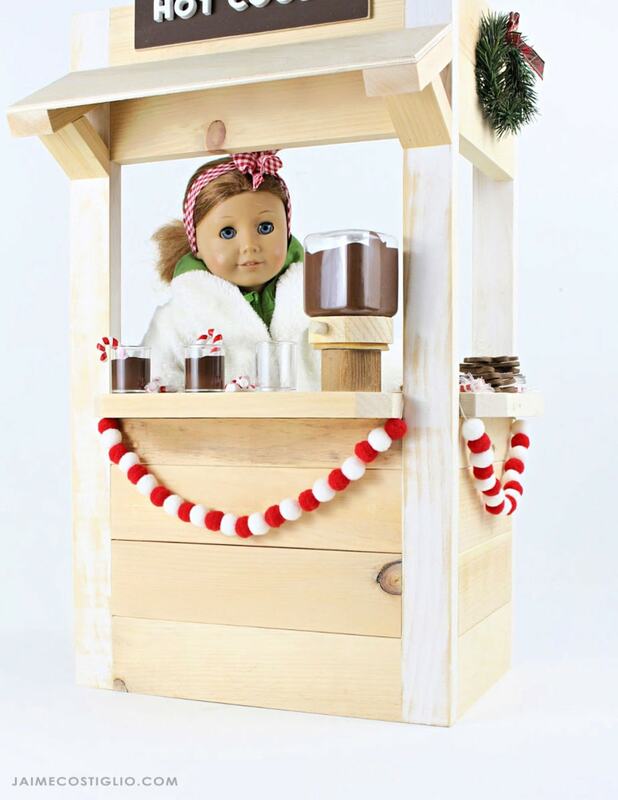 A DIY tutorial to build a doll size snack shack perfect for 18″ American Girl Dolls. Includes free plans and how to tutorials for the accessories. 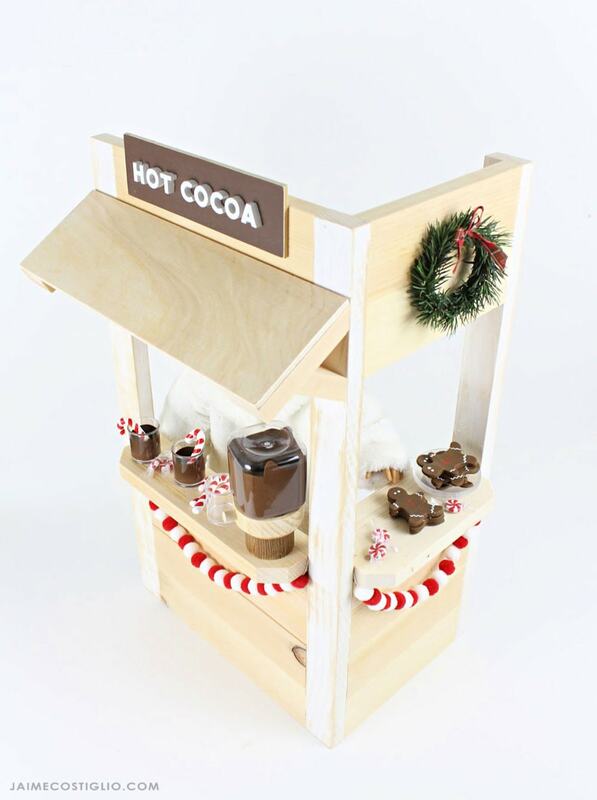 Fitting for the season this snack shack is a hot cocoa booth but you could make it any kind of snack shack to fit your wildest dreams. 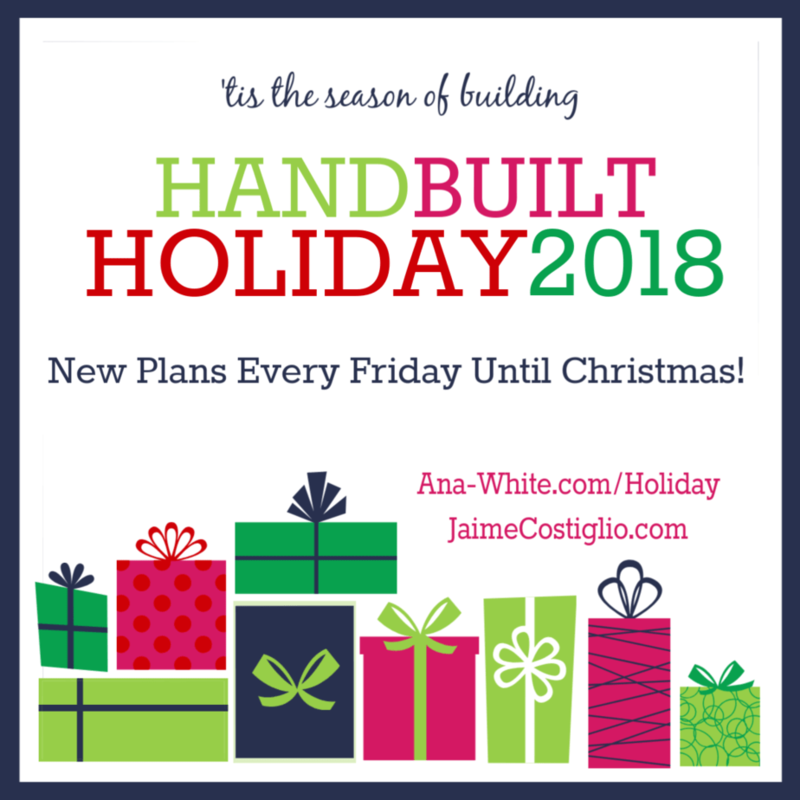 Every Friday Ana and I share a new holiday gift plan you can build for those special people on your list. 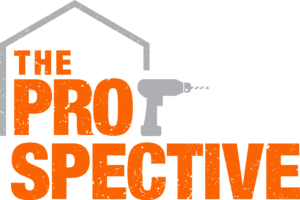 We have five years worth of gift project ideas cataloged here so you’re bound to find something for everybody. The best part about this project is that it’s built entirely from scraps which means I didn’t spend a fortune and my scrap pile is now a wee bit smaller. I cut the hot cocoa lettering on the scroll saw. Be sure to follow me over on Instagram where I share progress clips in my stories. You just can’t beat the dimensional effect with the raised letters. Not into scrolling, that’s okay you can purchase precut letters at the craft store and glue them in place. There’s a ton of options for making a little shop sign that don’t involve scrolling. 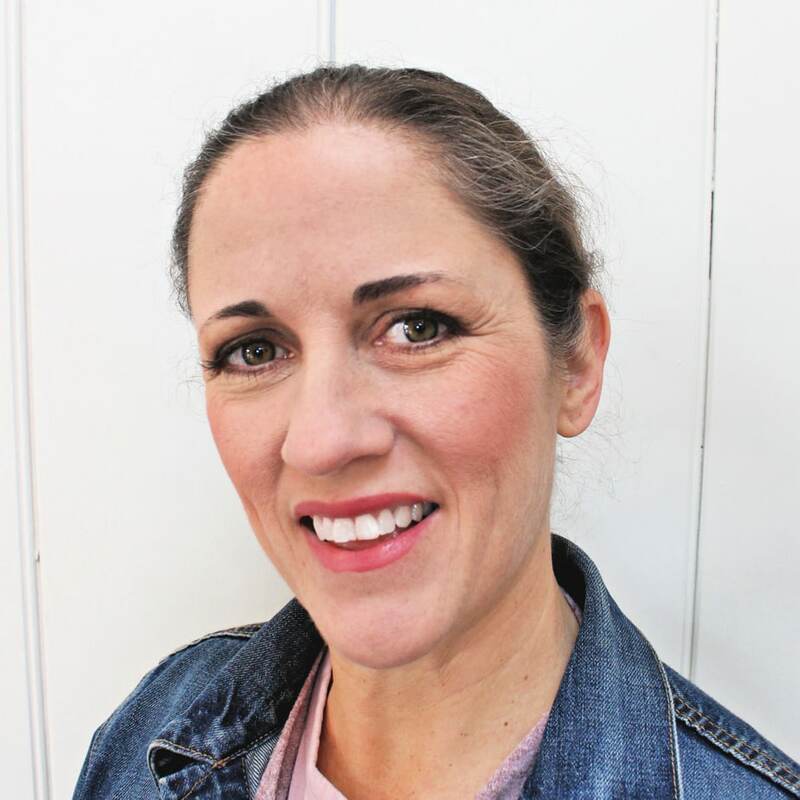 Ana’s plans are very simple to follow and assembly is a cinch. I used pocket holes on the interior to attach the horizontal pieces. Do note when cutting the small mitered pieces for the awning you want to use a good size scrap making the short cut from a larger piece so you have something to hold safely away from the saw blade. Aside from actually building this snack shack what puts it over the top are the accessories. Originally I shopped the craft store looking for playscale (1:3) accessories but I couldn’t find anything that suited my vision so I made all the accessories. 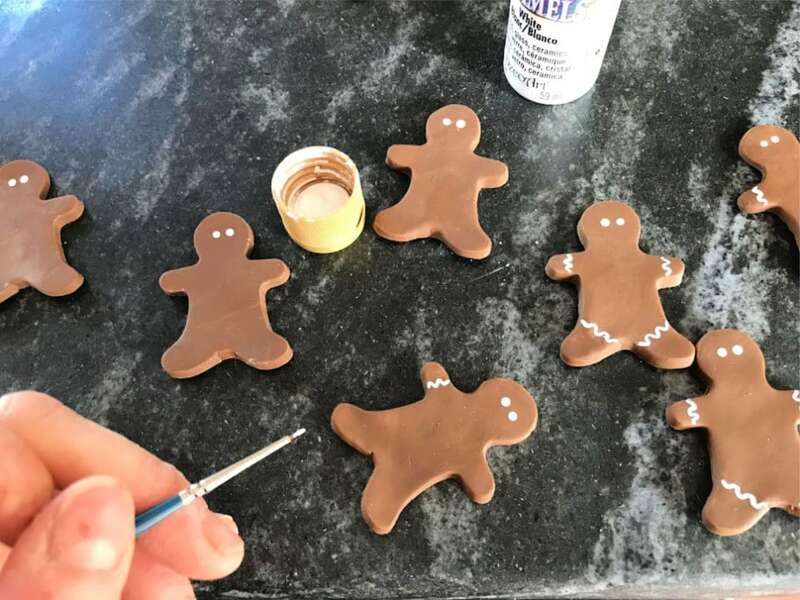 The gingerbread cookies are so realistic I could eat them. 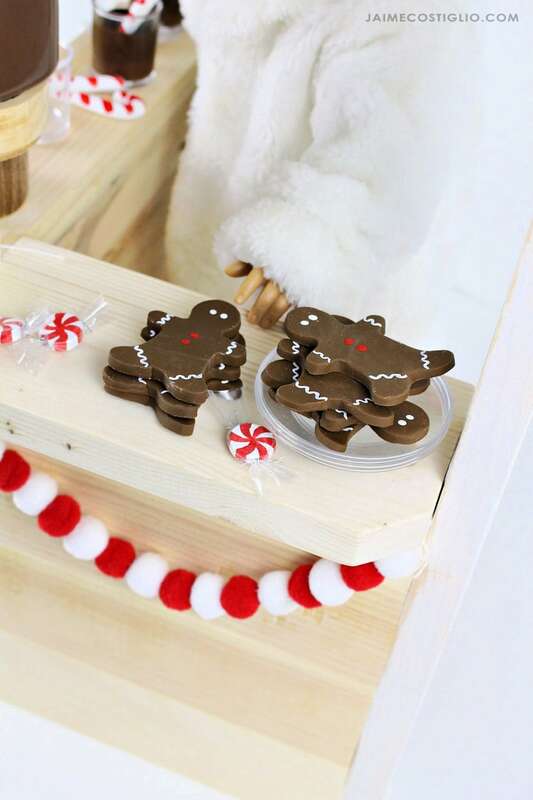 I used polymer clay and the smallest gingerbread man cookie cutter I had to make these play cookies. 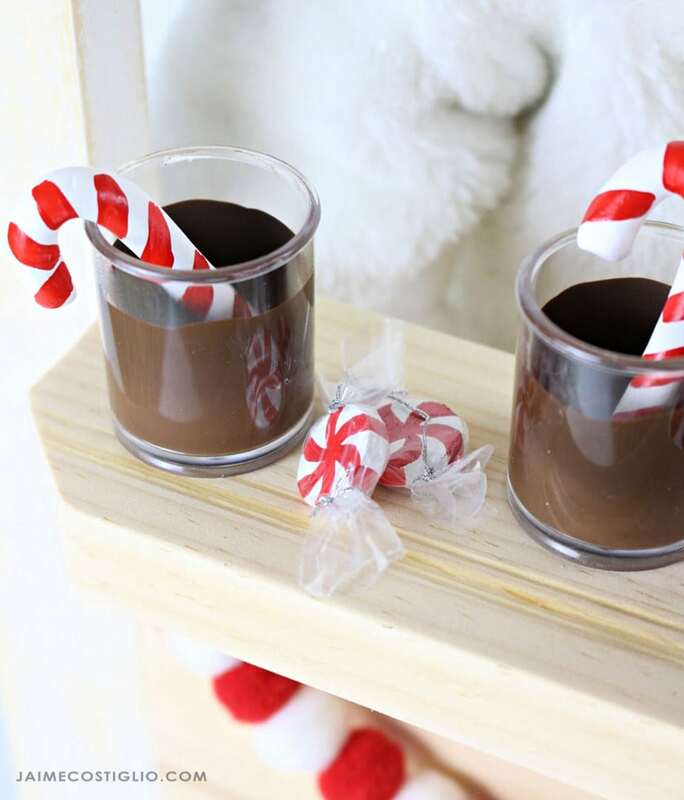 A little acrylic paint for decoration and they are ready for the hot cocoa booth. 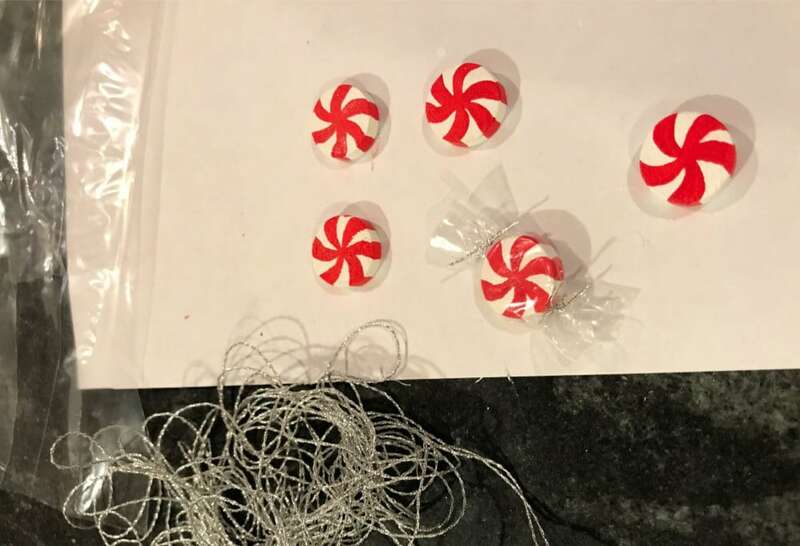 The mini peppermint candies are small slices of a 3/8″ circular wood dowel painted and wrapped in cellophane. The 3″ wreath is small pieces of faux greenery wrapped with wire to form a circle shape. Hot glue a ribbon bow at top for the finishing touch. The snack shack stands alone securely with it’s L shape and there’s plenty of space for an 18″ doll or two behind the booth. 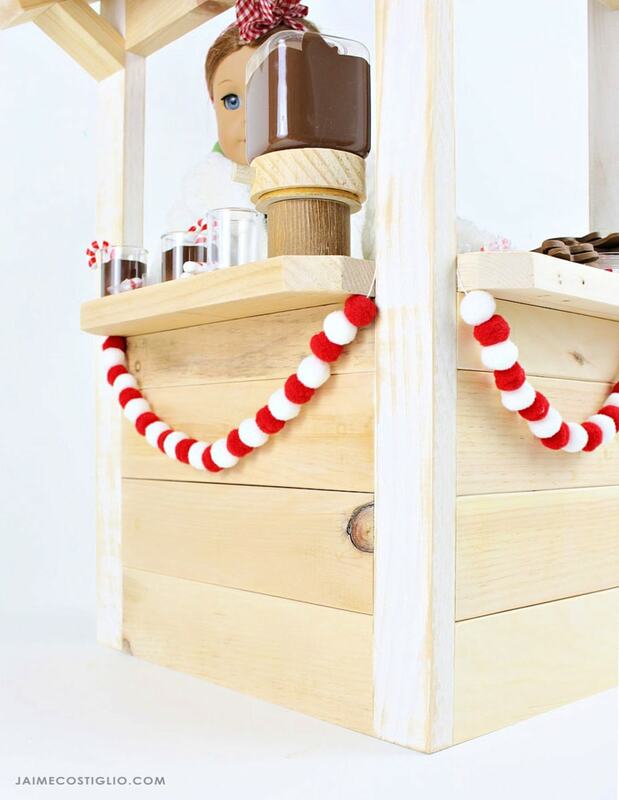 Ana designed this snack shack with a planked look. To enhance the planked effect be sure to sand off the sharp edges on the horizontal boards before assembly. The softer, rounded edge enhances the planked look. 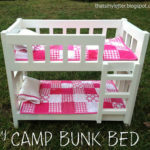 Even better would be to stain the boards first, then sand off the hard edges and then assemble. So many possibilities for finish effects that would make the cutest snack shack. The pom pom garland is from Michaels in their mini tree decor section. All the other accessories I made using things I had on hand. 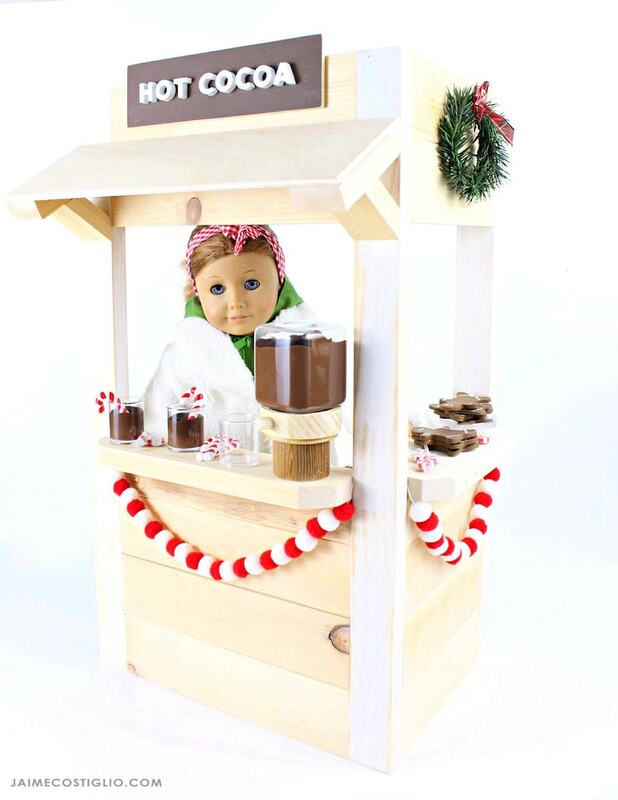 For the complete instructions on how to build this doll size snack shack visit Ana’s site here. And for more details on the accessories and how to make them scroll down below. 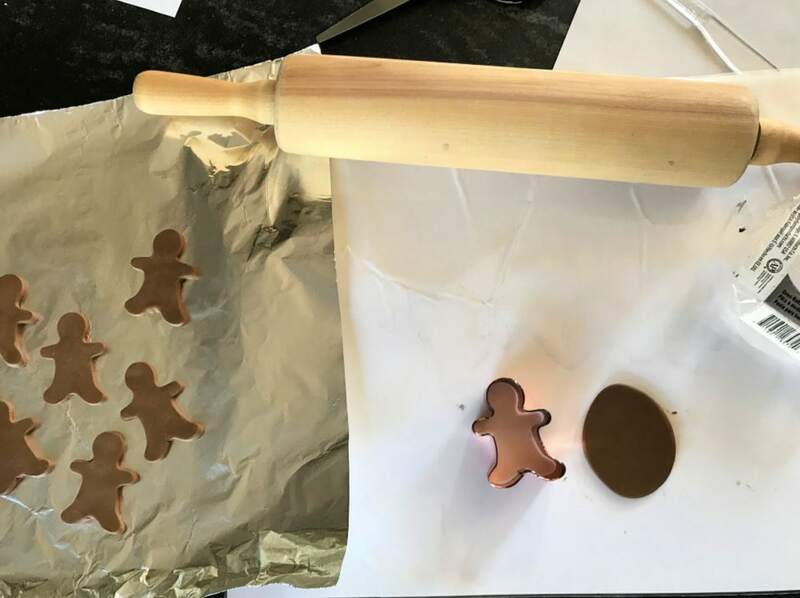 Step 1: For the gingerbread men cookies use brown polymer clay and roll to a generous 1/8″ thick. Use a small cookie cutter to get uniform shapes every time. Bake the clay as directed on the packaging. Step 2: Once baked and cool use acrylic paint to add the details. 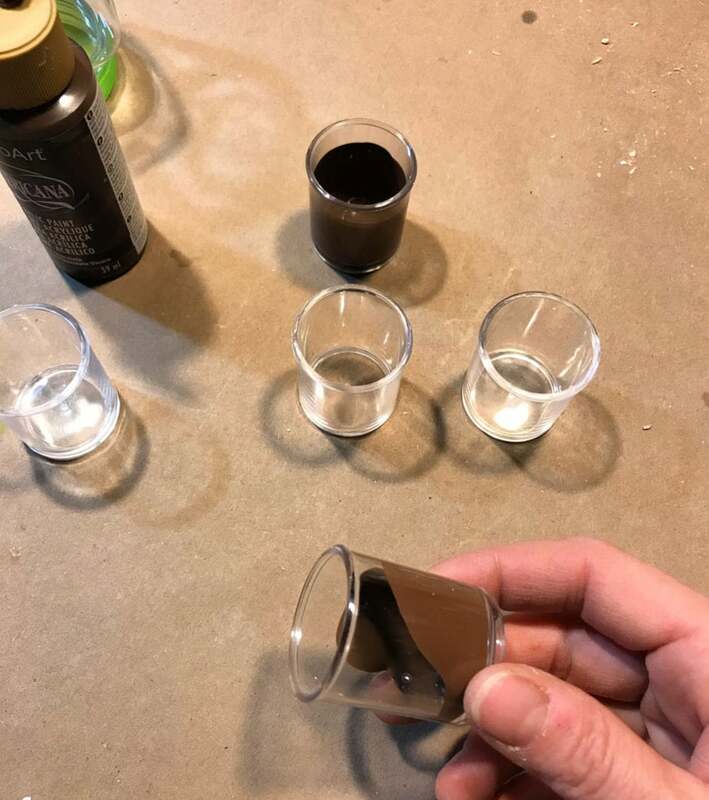 For the hot cocoa mugs I used clear paint storage containers. Squirt a good amount of dark brown acrylic paint into the container and swirl to coat sides. Let dry. 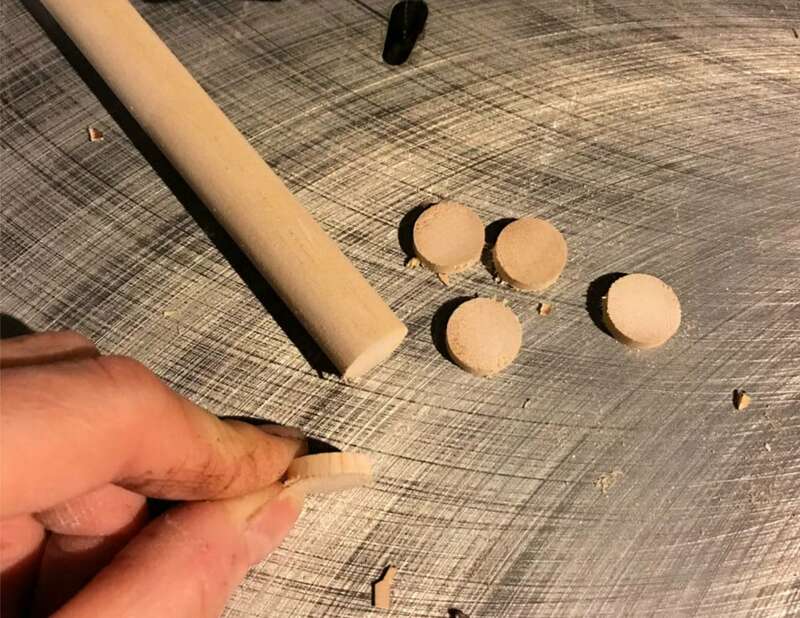 Step 1: For the peppermint candies cut thin slices of 3/8″ dowel into discs. Paint the disc white with red stripes. Step 2: Once dry wrap the candies in cellophane. I cut up a ziploc bag and used silver string to tie the ends shut. I highly recommend using things you have on hand to make all the fun bits and pieces. 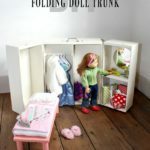 Use your imagination and get creative and you’ll have a one of a kind doll size snack shack that cannot be bought. As with all of your builds, this is perfect! 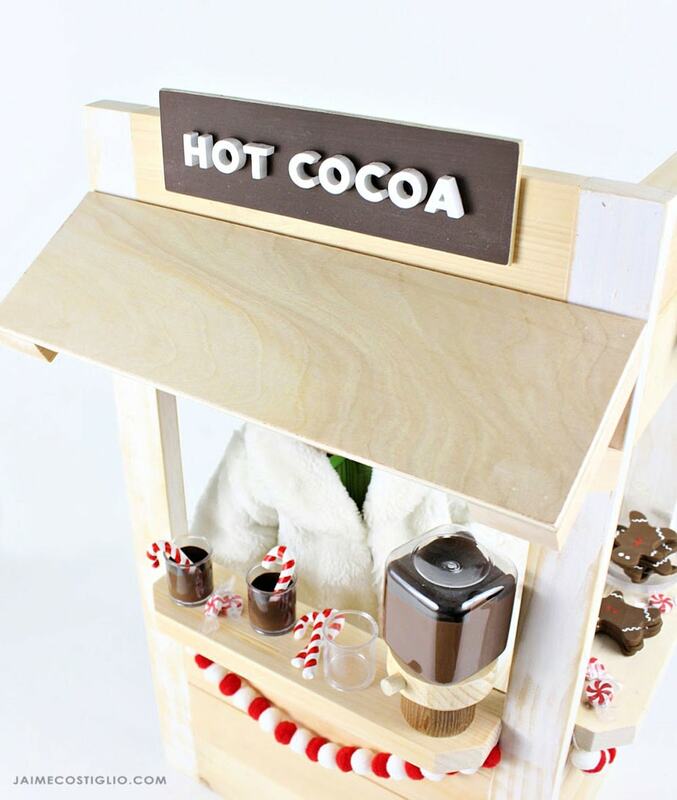 I so would like to build this cute cocoa shack! 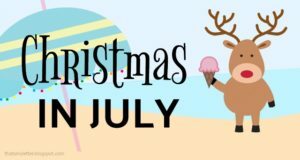 If only my days of doll crafting were not over…The added touches are also amazing, the gingerbread man, the chocolate mugs, the peppermints. so good! 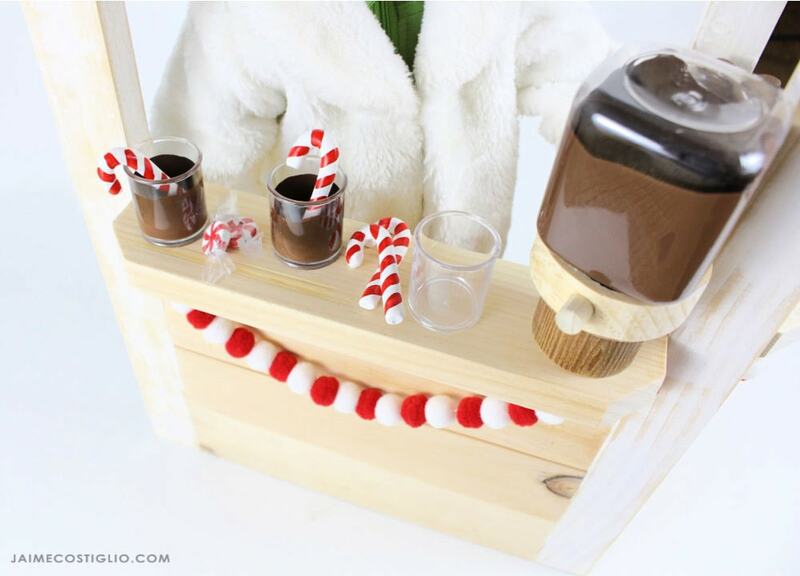 How did you make the hot chocolate dispenser? this is so cute!! Thanks Amy, the dispenser is a plastic craft storage jar (from Michaels – bead landing). 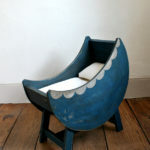 Fill with brown paint, let dry and then cut a few circle wood pieces and stack to make the base. Hope that helps!